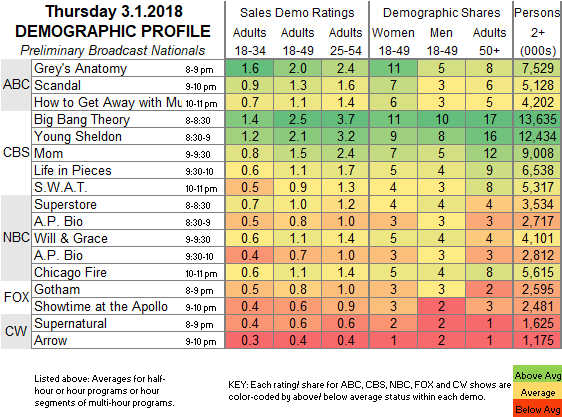 The Live +7 ratings for Supernatural season 13 episode 14 are in. We did not make any of the top 25 charts in 18-49. We did increase enough in total viewers to be reported. Down a little from the last new episode, but not bad for coming back from hiatus. Richard Speight, Jr. won the award for his work directing the Supernatural episode "Stuck In The Middle With You"
Canadagraph Best of TV Award Nominations are being selected and Supernatural has already had nominees in several categories. BEST OF TV AWARDS - what are they? Where did they come from? Anyone attending PaleyFest will be so lucky to get a first look at this episode! Misha Collins announced that the 2017 GISHWHES would be the last. Now the GISHWHES store is having a clearance sale. This will only be for a few days, so if you snooze, you loose. Head on over to the GISHWHES shop for deals. Thanks to Nerds and Beyond for the notice. In other fund raising Kim Rhodes will be raising money for proper toilets in Nicaragua through her storytime feature. Nerds and Beyond reports. The story time will be held on Kim’s Facebook page at 8:00 p.m PST tonight, February 20th, but people are encouraged to donate early. The Supernatural family is known for coming out in droves to support charitable causes such as is and I have no doubts they’ll turn up again this time. While most of us sometimes take the access to toilets for granted, we can all imagine what it must be like to not have that available. Kim explained in her Facebook. We have the overnight ratings for Supernatural season 13 episode 12. CW Expands Its Programming. What Does It Mean for Supernatural? The CW made a surprise announcement today. Recently we saw and uptick in the number of pilot being ordered by the CW. This move helps explain that expansion. What it means for Supernatural and Wayward Sisters is still unclear, although it does provide more slots for new shows and probably bodes well for the pickup of Wayward Sisters. We will keep you posted as more information becomes available. We have the overnight ratings for Supernatural season 13 episode 13. 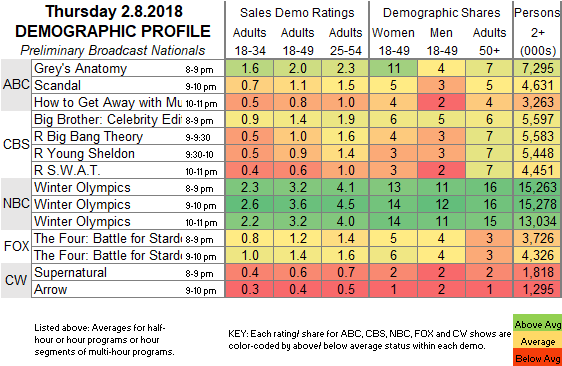 We were up a little in total viewers and steady in the 18-49 demographic. Also we were #2 in Nielsen Social ratings. See charts below the cut.